Application Control Reduce risk, not productivity. 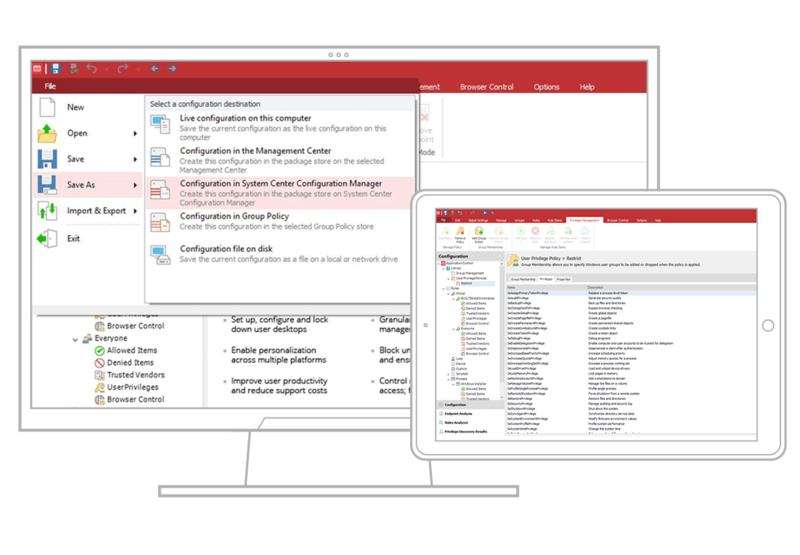 See why strong app control spanning servers, workstations, and the SCCM environment is a must for effective multi-layered security. Limit admin privileges without limiting productivity. Easily define who can use specific consoles, applications, and commands for servers. Patching is the first step to reducing the risk of ransomware and other malware. But how do you block what you can’t patch: zero-day exploits, legacy systems, and patches that could break something in your environment? 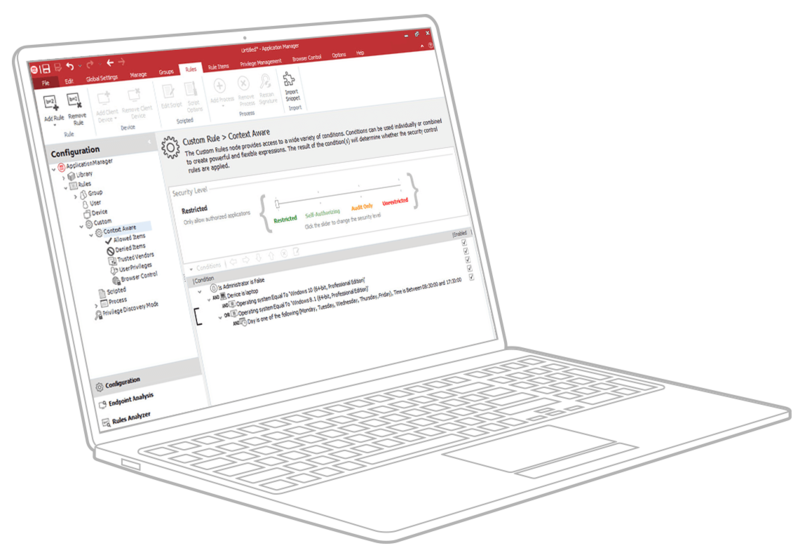 Application Control, powered by AppSense, combines dynamic whitelisting and privilege management to prevent unauthorised code execution without making IT manage extensive lists manually and without constraining users. Happy users mean help desk calls and reigning in shadow IT don’t become the end all and be all of your IT team’s tasks. Without Application Control, we'd have to apply our most restrictive policies to every user. Mitigate threats without manually managing extensive lists, and without creating obstacles to user productivity. With Application Control you can manage user privileges and policy automatically, at a granular level, and allow for optional self-elevation when exceptions occur. Plus, you can prevent unauthorised code execution and enforce software licencing through our unique “trusted ownership” model. Reduce your IT workload. Control applications and user privileges efficiently across your desktop and server environments. Push Application Control configurations to endpoints. Use SCOM to gather events and auditing details. Manage administrative rights of non-­IT users by limiting logon rights to servers to perform specific tasks. Deliver the apps users need, when and where they need them, for a great user experience while keeping endpoints safe. Simplify whitelisting. Allow only apps introduced by trusted administrators to execute. Give your users access to what they need quickly, with seamless app access that relies on granular, context-aware policies. Balance access and security. Remove full admin rights, but provide granular access to the apps users need. Ensure application integrity by assigning digital signatures to prevent modified or spoofed applications from executing. Give users the ability to request emergency privilege elevation or application access when they need quick access to stay productive. Copy prohibited files users tried to run and store them in a secure repository for analysis. Manage which users have permission to run named applications and for how long. Application Control helps block malware and defend against zero-day vulnerabilities while balancing user needs with context-aware policies. We're here to help with all your Application Control questions and get you to the next step. Block the apps you can't patch and protect against zero days without IT and user headaches. Get your quote today.